Rwanda is a Central East African country, where gambling is going through ups and downs. Rwanda put a ban on malfunctioned slot machines in July 2016 due to unethical practices, but it did not make any difference to casinos, lotteries and sports betting, dealing fairly in the country. Even after having its own limitations in the gambling industry, majority of people actively participate in gambling. Sports betting being the most favoured form of gambling. 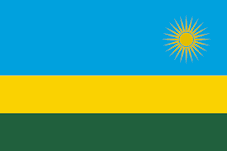 Rwanda officially passed the gaming law for governing the gambling activities in 2011. The government levies 15% tax on lotteries and other gambling proceeds. The Rwanda gambling law also allows the licensing of online gambling. There are no local online gambling sites but players from the country are authorized to place bet on foreign online gambling sites. Recently Rwanda has launched 4th Generation Internet broadband for mobile connections, which could further expand the opportunity for online lotteries. Casino is not among the crowd favorites, since there are hardly 2 casinos in the country. Even though country’s gambling law permits for an online casino, but there are no online casinos operating under Rwandan license. Rwanda National Lottery is in collaboration with Rwanda Gaming Corporation (RGC) which is a private public partnership company. The majority of share is held by the RGC. Rwanda National Lottery has yet to launch online lottery platform, but they may soon introduce. Apparently they are working on SMS lottery promotion, which is about to roll out in a few days.